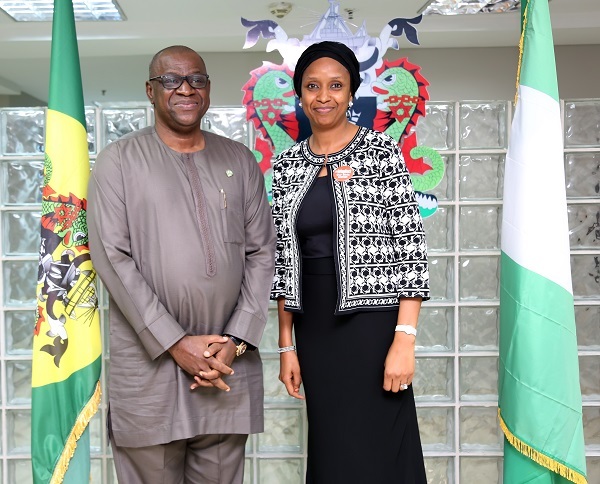 The Managing Director of the Nigerian Ports Authority (NPA), Hadiza Bala Usman (right) today played host to the Director General of the Standard Organization of Nigeria (SON) Barr. Osita Aboloma at the NPA Corporate Headquarters, Marina, Lagos. During this event, the two parties collaborated on mutual beneficial strategies towards greater operational efficiency.